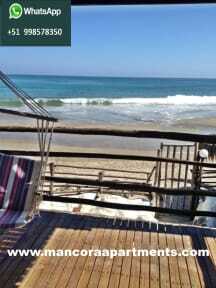 Mancora Apartments Hostel offers you nice and private apartments in Playa del Amor Beachfront. Brand New and directly on the Beach in Mancora and you will very unlikely experience anything like this for this kind of money !!! The reception service is open from 10:00 a.m. until midnight.